New development being proposed at former Checkers in Chamblee. Matt Wilson of Wilson Development Group is proposing a new building on Peachtree (Industrial) Boulevard. The new development would replace a long abandoned Checkers restaurant. The Checkers closed about five years ago, and since a Popeyes proposed a new restaurant in its place in early 2013, the parcel has sat idle. Wilson proposes to demolish the existing 800 square foot structure to build a new, roughly 4,200 square foot building that would house three separate tenants. 1,300 square foot "takeout only pizza place"
1,625 square foot "cellphone retail store with associated parking and infrastructure." Wilson is seeking a number of variances, among them one that would reduce the number of required parking spaces from 35 to 25. The roughly .6 acre parcel is across the street from Chamblee Plaza. Does this development excite you? What would you like to see open as the "restaurant?" What one type of business does Chamblee need? It's interesting that Chamblee is so image-conscious that they felt the need to change "Peachtree Industrial Boulevard" to "Peachtree Boulevard". Do you remember when the City of Atlanta changed "Stewart Avenue" to "Metropolitan Parkway"? If you dare, walk down that street today and see if you notice any difference. Chamblee changed the name of PIB for one very simple reason, which should be obvious even to the poster: Over the last 25 or so years, it stopped being what we call "industrial." Over the next 25, it likely become an avenue of trendy shops, high end condos and fine dining. As far as the comparison with Stewart Avenue in the City of Atlanta (now Metropolitan Parkway), there is none. Of course, just changing a street name makes no difference, but PIB is not and was never even remotely similar to Stewart Avenue. If you know the facts, mentioning the two thoroughfares in the same short paragraph is quite a stretch. ^ that is like comparing apples to oranges. Chamblee has and will continue to evolve as developments continue to reshape that stretch of peachtree. It is their street and can call it what ever they like. They should be image-conscious since that part of their community is slowly being re-developed from industrial to retail/mixed use. Why would they stick with a name that clearly does not reflect the businesses of the area? The solution to a street of ill repute in the City of Atlanta's eyes is to simply change the name of the street. Problem solved. Bankhead Highway has become Donald Lee Hollowell Pkwy; Techwood became Centennial Olympic Park Drive; Simpson became Joseph E. Boone, etc. As far as the above proposed development, it sounds like a parking headache. A 4200 SF building with 2 restaurant uses on 0.6 acres with only 25 parks? What could go wrong? So glad someone is making an investment in this property! This area is growing so fast, it's about time this parcel was redeveloped! "Over the next 25, it likely become an avenue of trendy shops, high end condos and fine dining." Jimmy John's, Pizza Hut (take out) and AT&T.. Yawn. The variance may make parking a challenge since it is 28% less than required. However, if the interparcel connectivity is (required) built in, people will just park at McD nextdoor. McD may not like that. Chamblee Plaza across the street is one that really needs to be developed. The closest mattress firm is all the way down by Lenox I believe!! Maybe they'll tear down the old JD Byrider and build one there. 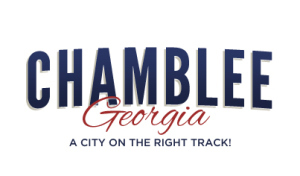 Restaurants & retailers looking for success need look no further than Chamblee GA - A City On the Right Track! where a goldmine awaits their arrival! Chamblee GA is underserved with wealthy residents with money to spend driving long distances to shop & eat. Many of our residents say time after time they are tired of having to drive east for restaurants, upscale merchandise, fine Dining & top shelf services. Checker's mentioned in the article will shatter sales records in the first week for the company! When affluent customers are asking for your services business should be lined up to come to Chamblee & as you see they finally are! The biggest underestimation of Chamblee is it's draw is far greater than 3-5 miles as shopper west to Dunwoody & south to the city of Atlanta frequent Chamblee! Chamblee is indeed the place to be for new business success! Jimmy John's, Pizza Hut and AT&T is probably spot on (although it could be a carryout only Marco's Pizza or Papa Johns). The likely argument for the parking reduction is that the carryout only style pizza shouldn't be required to have 13 spaces (at 10 spaces per thousand square feet). Jimmy's Johns is also rarely going to require 13 parking spots at the same time. I think this is fine for a small parcel in a retail corridor who's "spots" aren't going to change anytime soon. Traffic backs up from P'tree/Chamblee Dunwoody intersection. The suicide lane between CD and Longview is dangerous. That section will become more congested if/when the "Blee on Broad" (Chamblee Plaza) is redeveloped. Squeezing four businesses onto 0.6 acre without alternate access is questionable. Seriously you are making this comment on an article about these businesses coming to Chamblee? This will be next to a McDonald's and they are across the street from a IHOP and a Dunkin Donuts. This development is also down the street from a Walgreen's and QT that were a Red Lobster. Near the other three corners were gas stations that are now a Car Dealer trade in location and two car washes. North of there is a car dealer that was a Piccadilly cafeteria. Heading a little south and there is a Lowes, Zaxby's and Tire Place that were a Dorito's factory. Sure Chamblee is getting a Whole Food to compete with the Walmart's Grocery store up the street from it but whatever you want to call the road in ain't going to be your delusional land of plenty in my life time. Downtown Chamblee and other areas have their benefits but don't get crazy about utopia coming to Chamblee as you are clear cutting every tree in town. You sound like a bitter East Atl hipster worried about Chamblee property values increasing and yours decreasing. What is being proposed is better than the decrepit Checkers sitting there now. I think some of you commenters are going to look back a few years from now and say "damn, look at Chamblee!" and be sorry that you missed the boat. Besides Doraville, it's the last bedroom community inside the perimeter. We've seen our property values increase tremendously the last couple of years and I'm happy that we discovered it before the wanna-be's come knocking in a few years only to discover they've been priced out. It truly is a "city on the right track". It will be just like Roswell Road with more car dealers. Whatevs so is many other roads in Merica. Lots of strip shopping centers on a car centric thorough fare. Pluses and minuses depending on what you are looking for. I'm glad to see some new businesses locating there. The burned out Checkers has been an eye sore for years. Fewer parking places should not be a problem for deliver/take-out and fast-food restaurants. Checkers had the best fast food in the area! I wish we still had Checkers out here because it would be a convenient great place to walk after school. It is better and less bland than Chick-Fil-A and McDonald's... OF COURSE! Hope you put this in consideration Chamblee... Cheap prices and great food I'm all about it!